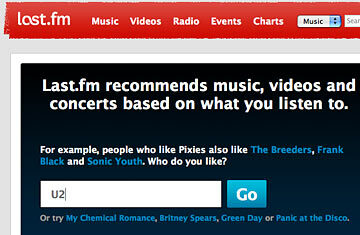 Pandora and Last.fm are two near twin radio-killer applications. You seed the online players with your all-time favorite song  or whatever you're in the mood to listen to  and a digital DJ creates a list of other songs you might like and starts streaming them through your speakers. It's both an amazing way to discover new favorites and a set-and-forget way to get a soundtrack that fits your current state of mind. And if you hear something you don't like, both sites have a fast-forward button that will skip you to the next song in the queue as well as a nuke button that will banish a hated song from your listening life.